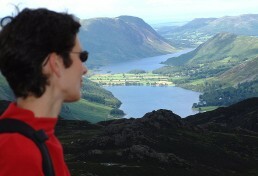 We have a choice of UK walking holidays with many variations to each one. 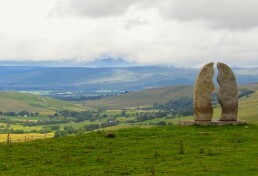 These range from the gentle Vale of Lorton route which spends 3-6 days in the quietest corner of the Lake District, through to the ever popular Hadrian’s Wall walk or the classic Wainwright's Coast to Coast that takes you across three National Parks in 12-17 days. 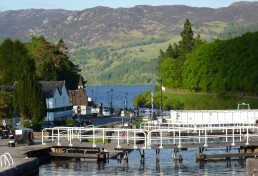 In addition to the full length trips we offer a range of short breaks on each of these routes. We have 6 routes in Scotland including the West Highland Way from north of Glasgow to Fort William, from where you can continue along the Great Glen Way to Inverness in the far north. 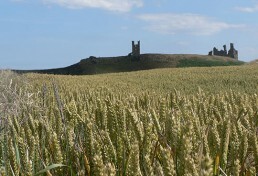 To cross between both Scotland and England in one route, St Cuthbert’s Way is the route of choice – starting in the Scottish Borders and finishing on the Holy Island of Lindisfarne in England’s northernmost county of Northumberland. All of our holidays are self-guided. We provide you with a detailed route description and/or guidebook together with the maps for the area and you do the walking unaccompanied, at your own pace. All the accommodation will be booked ahead by us and we can transport your luggage to your next night's accommodation. Our holidays are designed to be flexible and can be tailored to suit your requirements. If you're looking for something different - or extra - from our holidays described here, give us a ring and we'll do our best to please! You can start on any day you like and we can arrange extra nights at any of the overnight stops allowing for rest days, or giving you more time to explore the locality. You can book part of a walk if you don't have the time to complete the entire distance. More boots means harder routes! Northern England really does have something for everyone. 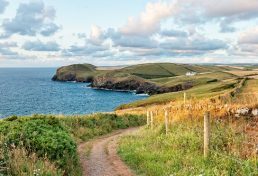 Choose from a walking holiday steeped in history set against a beautiful backdrop of rolling hills or visit castles and fishing villages as you follow dramatic coastlines. If it is mountains and moorland, valleys and lakes you are looking for, you can explore the stunning landscape of the Yorkshire Dales, the North York Moors and the Lake District. 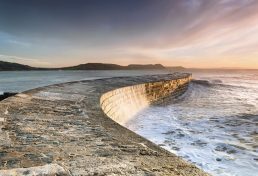 You can embark on a journey across England by walking along either the Hadrian's Wall Path or walk in the footsteps of Alfred Wainwright to complete the classic long distance route of the Coast to Coast. Two very distinct types of landscape; from classic moorland to dramatic coastline. 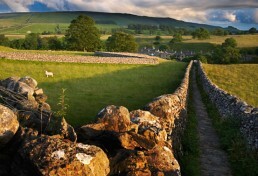 A real cross section of the North's countryside, voted the second best walk in the world. 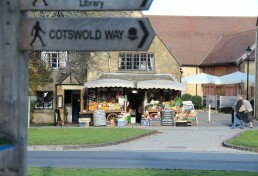 Generally a riverside walk with plenty of picture postcard villages. Beside the Roman wall through moorland and meadow. 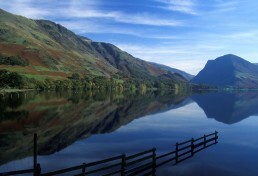 Dramatic scenery from rugged and remote fells to tranquil valleys, visiting historic sites along the way. Very striking landscape on an historical route. 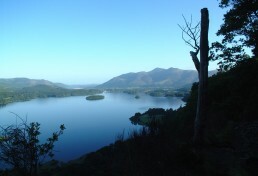 Experience stunning scenery and spectacular views whilst walking in the Lake District National Park. 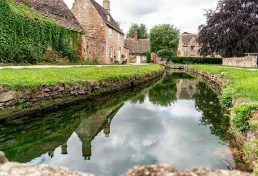 Your journey could take you alongside or over breathtaking mountains and into peaceful hidden valleys on paths that wind their way to pretty villages and market towns. 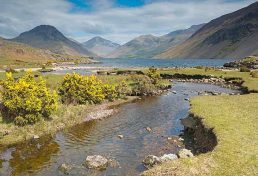 The Lake District has some of the best walking on offer in the UK and is suitable both for those looking for a challenge or those who would like to enjoy a gentler walking holiday. 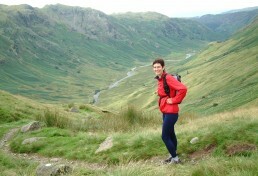 Through the heart of Lakeland's most dramatic landscapes. 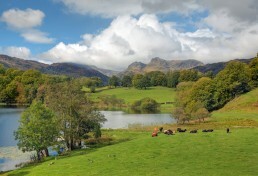 3 lakes, 2 mountain crossings and plenty of variety as you cross northern Lakeland. Easy days and stunning scenery in the north west lakes. A very scenic walk through some of the finest Lake District scenery, finishing on the coast. Coast to Coast by canal towpath, lochside and forest tracks. 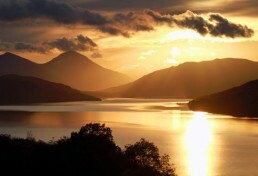 In the footsteps of Rob Roy MacGregor through spectacular mountain scenery. 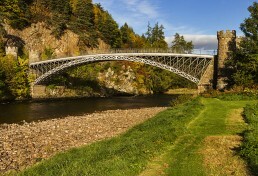 From the Coast to the Cairngorms along the River Spey. Countryside to coast through quiet Borders scenery. Classic highland landscapes on well established paths. 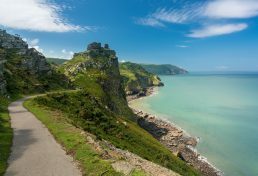 Boasting several National Parks and Areas of Outstanding Natural Beauty, stunning scenery is never far away on a walking holiday in Wales. With the mountainous region of Snowdonia in the north and the Cambrian Mountains and Brecon Beacons further south there is an abundance of choice for a day in the hills. 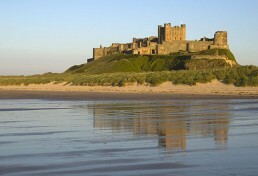 Add to this a spectacular coastline and Wales is a magnet for walkers of all abilities. 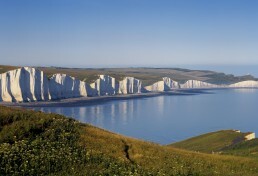 The most spectacular coastal scenery in Britain. 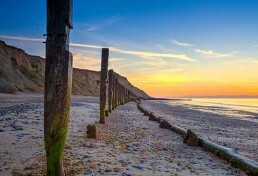 Walk the ancient Peddars Way then visit Victorian seaside towns, beautiful beaches and nature reserves with a wealth of bird life. 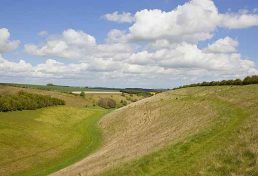 From west to east along the chalk downlands of England's newest national park. Spectacular geology and scenery, tiny fishing villages, rocky headlands and smugglers coves. 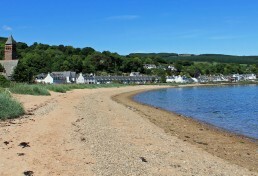 Idyllic fishing villages and golden beaches on this spectacular coastal walk. Walk through part of Exmoor National Park. 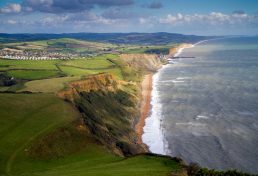 See purple tinted moors, Exmoor ponies, high cliffs and sandy beaches. 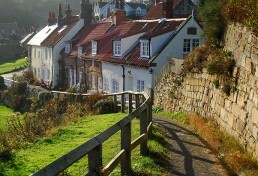 Spectacular, ever-changing scenery, tiny fishing villages, rocky headlands and smugglers coves. Stunning scenery, manageable walking days, lovely bed and breakfast accommodation - all aspects of the holiday organised by Mickledore who could be contacted should a problem arise. 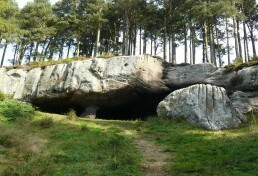 We have had several walking holidays organised by Mickledore. They organise bed and breakfast, luggage transport, maps and guidebook, packed lunches and suggestions for evening meal establishments - or whichever of these you want. Additionally they are contactable should any problem arise during your holiday. 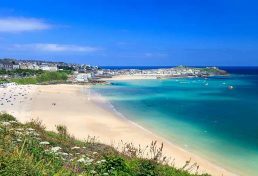 We have found them to be a helpful, friendly and reasonably priced organisation offering a wide range of walking holidays in Britain, and we are planning more holidays with them.